Hi! 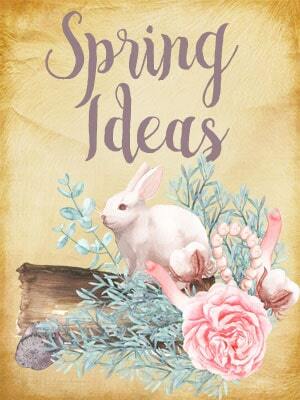 I’m Cat and I blog at Mary Martha Mama where I share sewing, crafts, DIY projects, kids’ activities, and my life as a mom. In everything I share I hope to give you a little inspiration and encouragement for your life. Tis the season for holiday parties and I like to bring a gift for my hostess. An easy gift is a bottle of your host’s favorite wine. 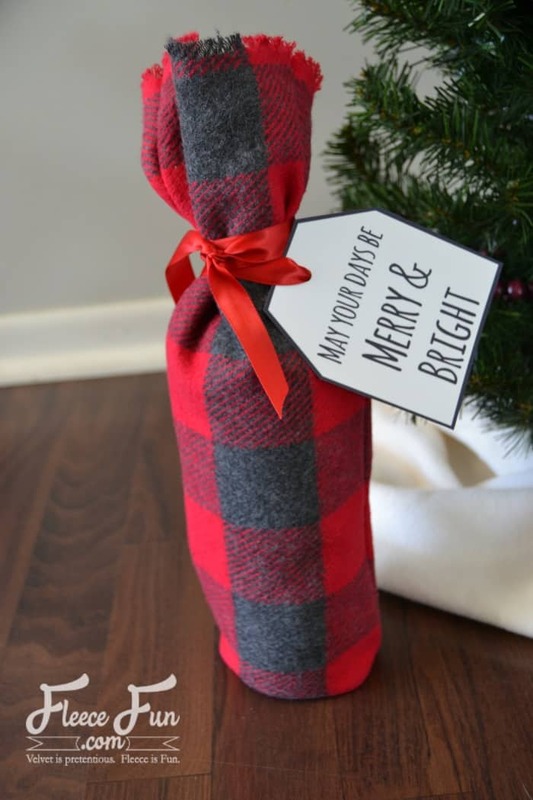 To dress things up I decided to make a festive wine bottle gift bag and I’m sharing the tutorial with you along with some printable gift tags that you could use with any gift this season. 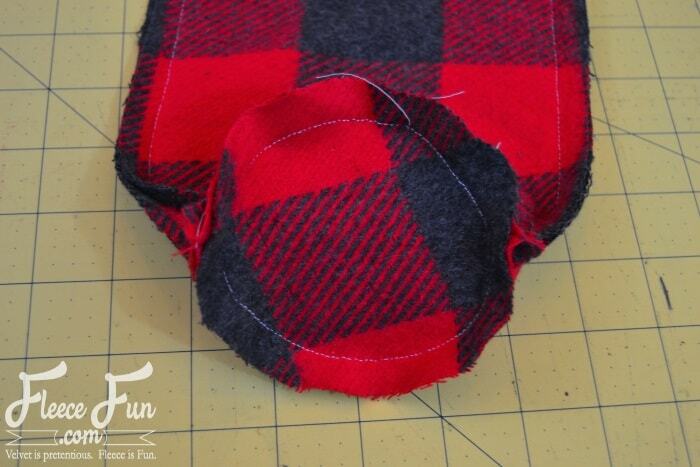 Pin and sew along the long sides, sewing about 1⁄2 inch from the sides. Stop about an inch from the top. Pin the circle to the bottom of your rectangle. 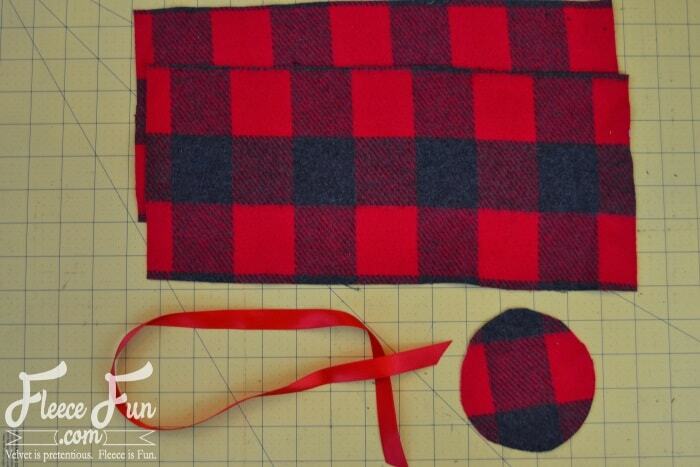 Sew along the circle, sewing about 1⁄2 inch from the sides. Now you are going to make the fringe at the top. 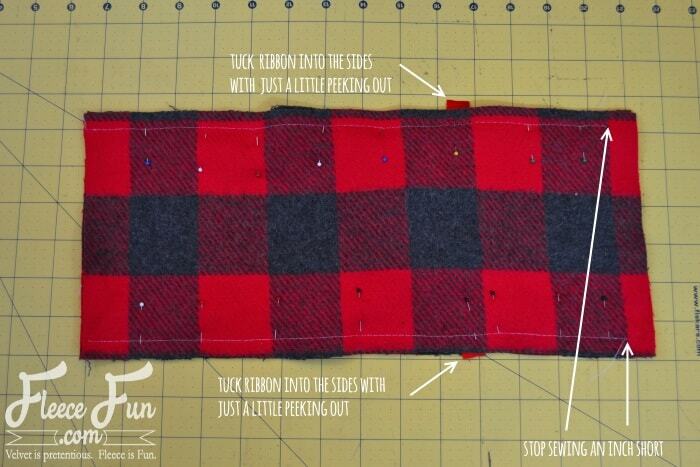 Look at the very top of the fabric and find a thread sticking out near the end. Pull on the thread. 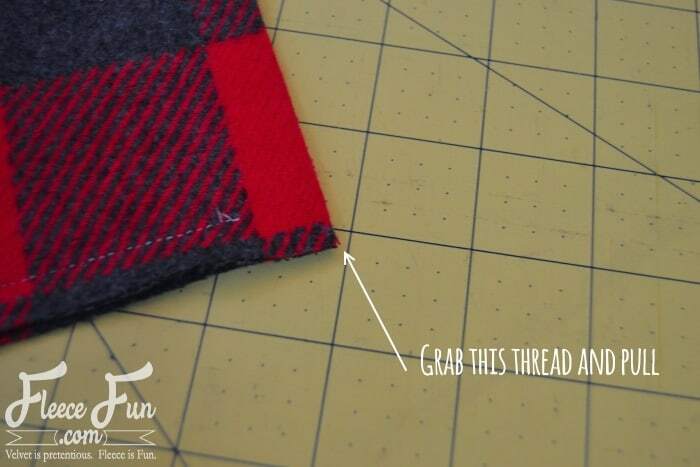 Pull all the way across the top of the fabric to pull the thread out. Keep pulling threads until you like how long your fringe is. 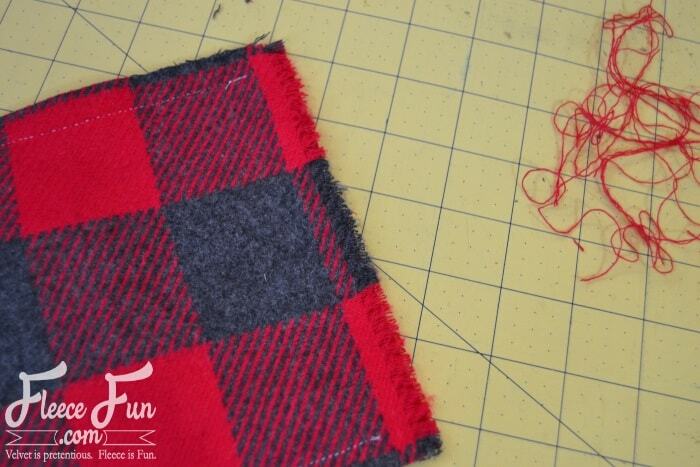 Then repeat for the other rectangle so that the fringe is even on both sides. Turn the bag right side out. Slip in a wine bottle. 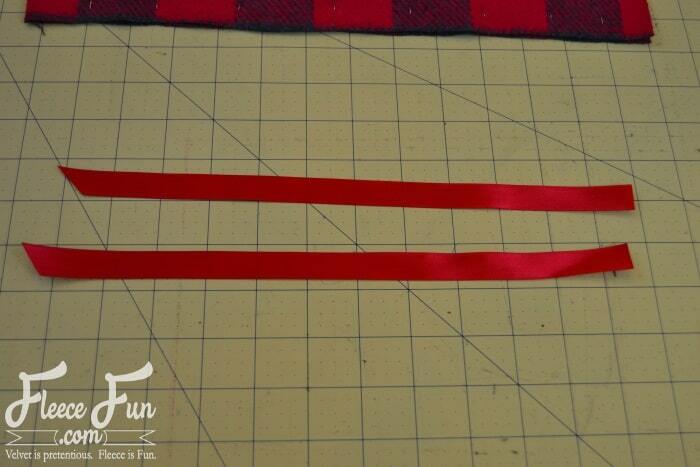 Slide a gift tag onto the ribbon, wrap the ribbons around, and tie. 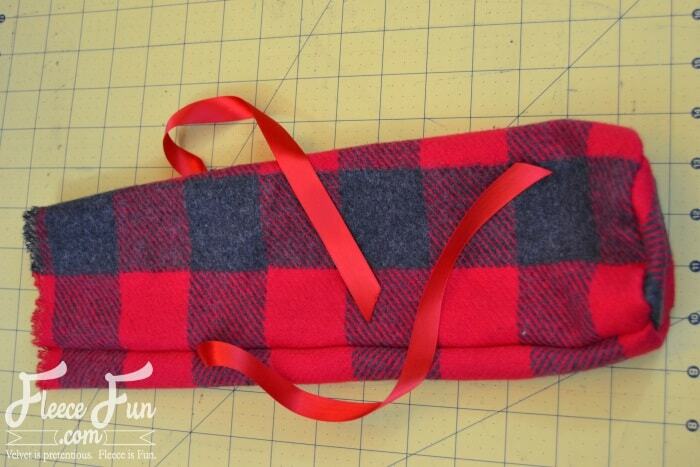 I love how a quick project can dress up a simple gift. You can use the printable gift tags on your other gifts as well. 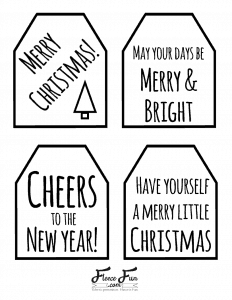 Click here to get the printable gift tags. Thanks so much for letting me pop in and share with you today! I’d love to connect with you more so please be sure to stop by Mary Martha Mama and say hello. 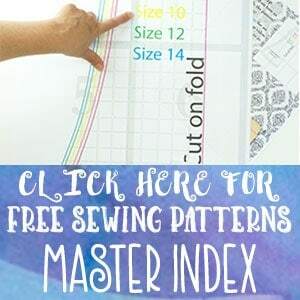 There you’ll find more sewing projects and tutorials like my popular baby bib pattern and t-shirt dress pattern.